I began treatment with Dr. Van Dusen after experiencing a personal tragedy. I had seen mental health providers to try to address my depression, anxiety and grieving. In addition, I had several physical manifestations of stress. Normally a very healthy person, I was frustrated that both my mind and body were not as healthy and strong as I was used to. I began to wonder how (and if) I could achieve the balance that I thought I was proactively trying for. I then reached out to Dr. Van Dusen. She was incredibly thorough and understanding as we initially went through my background, symptoms, and overall well-being. I felt that she was very carefully considering how best to help me as an individual and whole person, rather than giving me generic answers. The treatment that she eventually prescribed was life-changing. I very soon felt better than I had in years, both physically and mentally. Since the initial treatment, Dr. Van Dusen has continued to be thorough, caring, and very knowledgeable. I consider her to be an integral part of my general health, not only when I have specific ailments or problems, but also when I am feeling well and striving to feel even better. She has been the most helpful provider (of any kind) that I have ever seen, and I highly recommend her to anyone seeking care for acute problems or ongoing health. Simply put, Dr. Jessica has changed my life. I’ve been ill with unmanaged ulcerative colitis and associated malnourishment for 8 years. I’ve been to numerous doctors throughout that time and each one of them pushed new pills, ignoring my lacking nutrition. Dr. Jessica has helped me to realize that by fixing my nutrition problems my body will have a shot at fixing my ulcerative colitis. Not to mention, 90% of the reason I was feeling so terrible was due to poor nutrition. Well, after the first few weeks I started to notice increased energy and alertness. The mental haze I had grown to live with started to fade and now, 3 months in, it is gone completely. Thanks to Dr. Jessica, I can now exercise and not be exhausted for 3 straight days after. But, most importantly, for the first time in 8 years I feel like I have a chance to beat ulcerative colitis, which all of my other doctors told me wasn’t possible. If you’re ill or if you have questions or concerns regarding your health or nutrition, do yourself a favor and get in touch with Dr. Jessica. Hands down it has been the best decision I have ever made. As I mentioned, it has changed my life. Thank you Dr. Jessica! I first went to see Dr.Van Dusen for symptoms I was having with menopause, as well as low thyroid levels. I have had wonderful results from working with her remedies and health care plan. I will continue to see her as my primary caregiver due to her excellence in all aspects of her practice. She is always punctual about returning phone calls, dedicated to making appointment times work and starts the sessions on time. It is very easy to schedule with Jessica. Dr. Van Dusen has a wonderful rhythm to her sessions. She moves calmly and alertly through each stage of the process. I leave her office feeling assured, heard, cared for and hopeful. She is very confident with her remedies and is able to relay medical information to me in a language and amount that I can understand, but not be overwhelmed by. I am absolutely inspired by the treatments and how Jessica describes them. There is a sense of healing needing to take time; we are working towards something without panic or fear. Every day I am working with basic, simple food/plant materials as I return to health. I have taken my daughter, age 11, to see Jessica. She was wonderful with her and we had excellent results for what my daughter’s health issues were. I am taking a prescription drug for my thyroid. Jessica was very open to my input on how I want to work with this. She is confident in her decisions as my doctor, and has voiced her preference to me, but is open to creating a different treatment plan for me if I choose to not take the pharmaceutical. I value this; her solid opinion, but flexible approach. I also value that she is able to come up with different treatment plans based on my needs. Dr. Van Dusen is young, vibrant, knows her practice, and has a natural confidence and yet openness as a doctor. I recommend her as a naturopathic doctor. I’m always amazed at the power of craniosacral work. The gentlest touch can literally move bones, just by engaging in the body’s energy flow. Dr. Van Dusen’s wisdom in this regard has helped me through some challenging situations, and the treatments she has given me have worked swiftly and painlessly, with lasting results. Dr. Van Dusen has helped me tremendously. She takes the time required to listen and fully understand what I’m experiencing. Dr. Van Dusen’s approach is holistic, she addresses both emotional and physical issues and how they impact one another. This approach has been empowering and provided excellent results for me. Dr. Van Dusen is an exceptional practitioner. Every now and again you find a person who is in the exact profession that they should be, and Dr. Van Dusen is definitely one of those. She is knowledgeable and relies on current research while still remaining accessible and compassionate with her patients. In addition, she is open to combining western treatment with complimentary treatment, meaning that I still take some pharmaceuticals while incorporating naturopathic treatments to target the core of the problem. I have seen a few naturopaths and many doctors over the years and I can say with confidence that Dr. Van Dusen is one of the best out there. Remember when you went to the doctor and you were able to see the actual doctor, not the PA or nurse, for longer than five minutes? You didn’t feel rushed and were able to ask questions and report any concerns. The doctor performed all or most of the necessary tests at your initial visit without the hassle of having to reschedule multiple visits just to have your questions answered. Those days are back when you see Dr. Van Dusen, except with the added bonus of today’s technology and knowledge. Thanks Jessica for making staying healthy easy and uncomplicated. to, and clearly conveyed her philosophy toward naturopathy and working with patients. I felt very comfortable with her from the beginning. After a comprehensive first appointment where Jessica spent time going over my personal and medical history and did necessary physical exams, she gave me a plan of treatment that was designed to treat several aspects of my health. I was impressed with her thoroughness, intelligence, and responsiveness to my concerns. Since then Jessica has followed up by email and by phone with me several times, often doing further research to check on various aspects of my treatment plan, reporting her findings to me and adjusting my plan as needed. It is so wonderful to have a doctor who is so accessible! I feel fortunate to have Jessica as my care provider. She is smart, empathetic, knowledgeable, and responsive to me and my needs. Jess Van Dusen is an incredible Naturopathic Physician. She is patient, calm, unfazed by chronic issues and serious physical conditions. In this quiet, but warm and fun environment, Jess has taken me through the confusions of nasty neurological medication, rounds of PTSD flashbacks, anxiety, chronic infections and general ill malaise. She has coordinated my care in conjunction with allopathic physicians and other whole health philosophers and by golly folks the glee is back in my step and I am on my way to a beautiful spring and summer. Treating me is no easy feat. Give me a grand mal seizure and I’ll give you a mess. I was a mess when I arrived. I’ve also had some fantastic care givers, so meeting my expectations and needs is no easy task. And meet my needs and provide me with an essential ingredient for my quality health, Jessica did and then some. I am more than pleased to share these comments with the public. Quality naturopathic care is an essential ingredient to health for quality living. I have to remember this, and the public deserves naturopathic care as it does allopathic. It is too easy to let insurance companies dictate your health care. Get Jessica on board. She is QUALITY health care! I’m so glad I met Dr. Jessica. She literally saved me in a sense. I had visited several doctors in the area, conventional doctors, trying to figure out what was wrong with me. I was not feeling well, I had physical symptoms (hair falling out, nails breaking easily, couldn’t sleep, stressed out, gaining weight to name a few). The first doctor I saw ran some tests after I insisted that this was not normal for me. He ran a few and told me I was fine and that I could probably use some anti depressants, what!? Anyhow, I found Dr. Jessica; I walked in and was greeted by Jennifer at the front desk and she is the nicest and most gentle person ever. I actually spent over an hour talking to Dr. Van Dusen, explaining everything that I had been going through for the last 2 years. This included the death of my brother, moving to Bellingham, new jobs, my son feeling unhappy in Bellingham and in school. I shared with her all my symptoms and my knowing that there was something wrong; that my body was trying to tell me something. Dr. Van Dusen ran additional tests to the ones the other doctor did. She actually ordered a complete set. And yes, several things showed up in my results. I was right! There was something wrong. Dr. Van Dusen prescribed natural meds for me, and within 2-3 weeks I could see the difference, I could feel it. I went to her for over 2 years (the whole time we were in Bellingham), I have recommended her to everyone I know. She got me back to normal. I took my 11 year old son who has several allergies and terrible inflammation issues to see her as well. He was always in pain; we had gone to Children’s Hospital in Seattle even and they couldn’t find anything wrong with him. Well, Dr. Van Dusen did. She ordered lab work for him and found that he is extremely allergic to gluten. So simple! He’s also allergic to a couple of other things. Dr. Van Dusen talked to my son directly every time I brought him in. She took the time to explain everything to him; why, how, etc. His issues went away. He is not in pain anymore and we now know what we have to do. I moved to Virginia and I still use Dr. Jessica for my son and myself. We do consults over the phone to make sure we are on track. This is how good and amazing she is. She will listen to you, every time. She will spend time with you. She will keep track of everything she suggests to try. I miss her, I wish I could see her. She is gentle, nice and so very knowledgable. 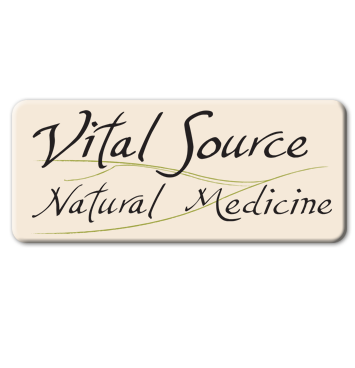 I highly recommend Dr. Jessica Van Dusen and Vital Source Natural Medicine. Dr. Jess Van Dusen is a skillful, knowledgeable, attentive, kind, personable, perceptive, and gracious naturopath. She is someone I deeply trust. I feel at ease and fully heard when meeting with Dr. Van Dusen. She pays remarkable attention to detail and is able to simultaneously consider the larger picture for relevant patterns. Dr. Van Dusen has excellent bedside manner, communicates clearly and compassionately, and provides integrated, individualized care. In addition, the environment of Dr. Van Dusen’s office is healing, with attention to aesthetics and cleanliness (and her office has a wide-sweeping view of the Bellingham Bay). Dr. Van Dusen has provided me with natural and effective treatment for four years. I look forward to continuing to work with her throughout my life. *Disclaimer: testimonials are a reflection of individual patient experience and are not a guarantee of results.